Yes. It does. Depending on the skills of the treating doctor, outcome may vary. Like any other surgical procedure, there is always a chance for failure or complication. However, in the hands of skilful and knowledgeable doctors risks are minimal and in the hands of inexperienced doctors the risks for complications are high. This procedure is delicate and considered a micro-surgery. 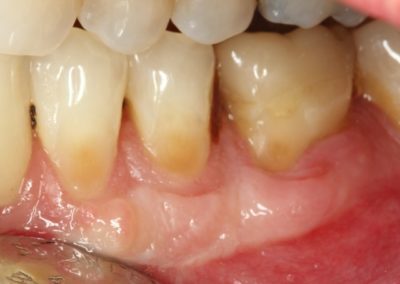 Before attempting the treatment, it needs the right diagnosis & classification, the correct choice of treatment approach and extreme attention to details. 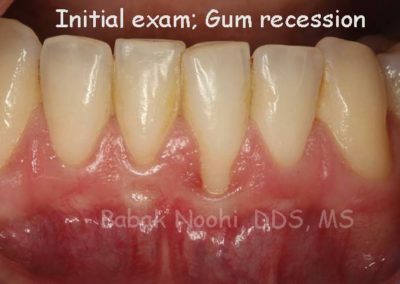 it is done under Local Anesthesia, as if you are getting a cavity filled. The pain is mild, more like a pizza burn. It heals fairly quickly. It is not an expensive procedure, and your dental insurance “MAY” pay half of it, but you need to ask them. Not all recessions are the same. The worse the recession gets the harder it is to treat it ideally. Consult with your dentist to find out what it the best recommendation for you. 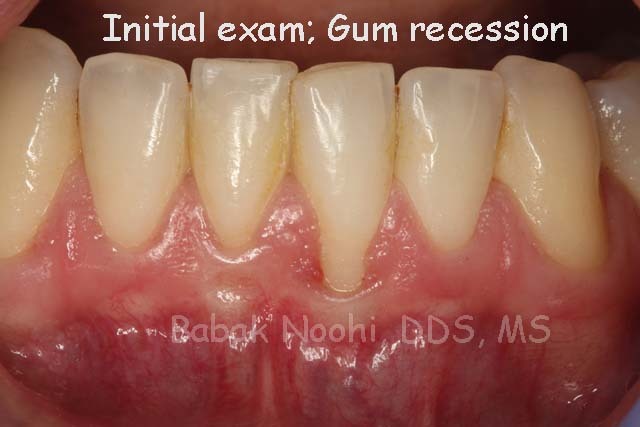 Initial exam: gum recession around a single tooth. 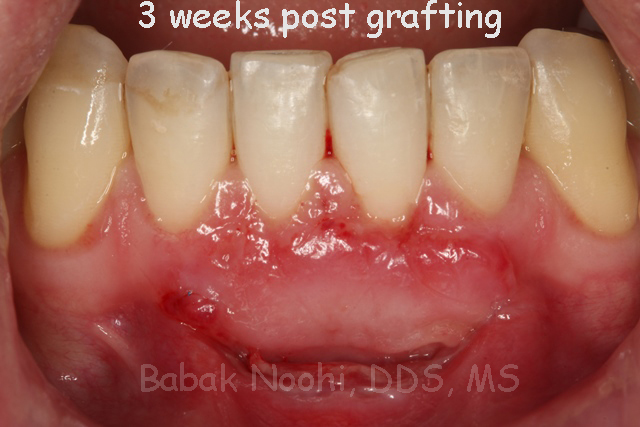 Graft is healing well, but it is still inflamed. Three months post grafting. A wide band of thick is present to prevent further recessions. 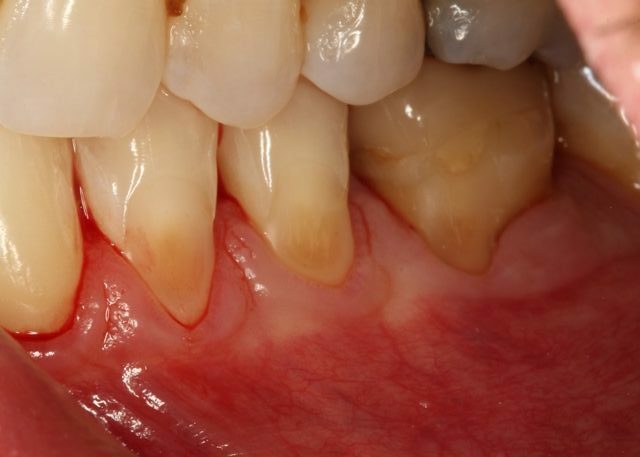 Thin tissue around teeth, does not provide any support and recedes. 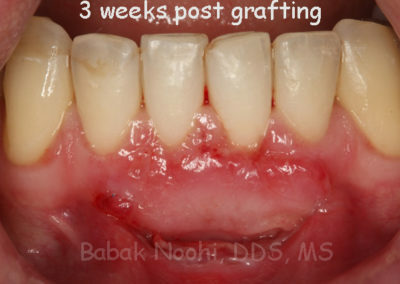 Two weeks post gum graft treatment. The tissue is still healing and appears to be read. Two months post gum graft surgery. 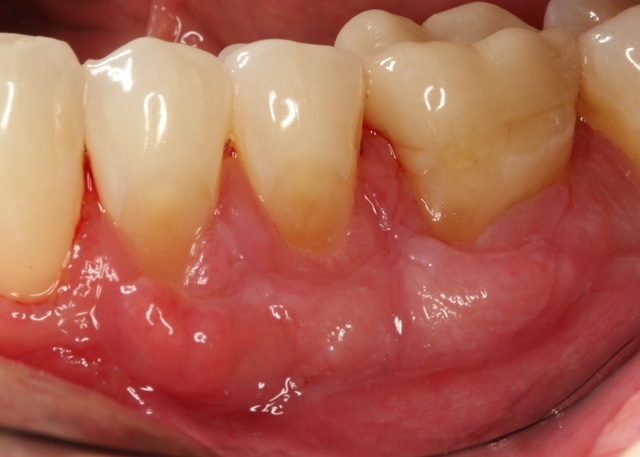 A thick Pink Tissue has replaced the previous thin mucosa.